It is our belief that the best approach to health is restorative and preventive healthcare. In other words, the body’s abilities to heal should be supported by our lifestyles and healthcare practices. We believe in directing resources towards preventing disease, rather than “fighting” battles that can be avoided in the first place. Our intention and responsibility is to arm our clients with information that widens their ability to choose healthcare based on personal values, reason, intuition and common sense. Scientific studies and statistics must be viewed within the context of these factors and not the other way around. As long as the human body is the “test tube” or “petri-dish” upon which these studies are based, studies and statistics will be criticized and found wanting. The human experience will have to be taken into consideration and be part of the decision making process. If it makes you feel better, if you can do the fun things you love, if life seems worth living, then your healthcare program is working for you. This is our goal, to help you develop and evaluate your personalized healthcare program. Empowered, natural and accessible healthcare. The Human Body is incredibly complex. It’s interactive internally, between various systems from muscles to organs to hormones, and it’s externally interactive, from experiences that cause emotions to physical habits and activity. Most people understand that the value of vitamins, minerals and nutrients, is personal to each individual body. We help you understand your own body and your ability to bring balance into your health through lifestyle and treatments. Restorative Medicine focuses on the importance of a balanced endocrine system through recognizing how the different chemical messengers influence each other. Stabilizing the endocrine system as a whole, rather than treating a single individual hormone, helps to optimize health and promote longevity. The ultimate goal of Restorative Medicine is to reduce or eliminate the need for ongoing medical treatment, when possible, by truly restoring health at its core. As a wellness center, we then integrate a variety of other services for a healthy mind and spirit to round out your healthy body. “Stress will never go away. To help evaluate and develop a personalized healthcare program through interdisciplinary collaboration with you. Similar to other conventional medical evaluations, you’ll arrive to your appointment at the Mana Kai Wellness Center. We begin the visit by gathering historical information about your health to find the individual factors and lifestyle tendencies that can lead to your imbalance of health. This session includes information about past medical treatments, surgical history, family history, occupational exposures, diet, exercise, over the counter substances, and prescription medications, along with your symptoms and health goals. Afterwards, certain laboratory and diagnostic testing may be performed, such as a blood test, a stool analysis, a food allergy analysis, a hormonal status evaluation, and heavy metal testing. Follow-ups can be scheduled either in person or over the phone, to review all of the lab results and diagnostic testing that were performed. At the end of the visit, we will help craft a plan for optimizing your health, which may include diet and nutrition, activity, supplement therapies and other wellness treatments that suit you and your lifestyle. 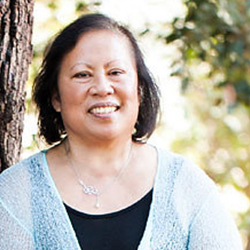 Fe is the Founder and Chief Energy Giver at Mana Kai Wellness Center. A registered nurse with a Masters of Science degree in Nursing, completion of graduate level Mental Health Nurse Practitioner Program and well versed in Native American (Lakota Sioux) teachings and Hawaiian spirituality, she interweaves Spirit and Science into a workable worldview. Fe is also a graduate of the 4-year Soul Transformation program of Pathwork International. 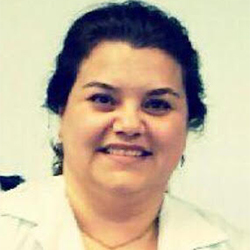 AAfsaneh Helali has been a registered nurse for 27 years and has her PhD in nursing. She has been a nurse practitioner for 19 years, working in many settings. In addition, she has been practicing Reiki since 2004 and various other complementary modalities to assist her clients when Western medicine has fallen short. 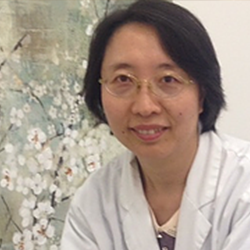 She has practiced in the areas of acupuncture, acupressure, Chinese herbal medicine and nutrition therapy. Her treatments covers pain management, internal illness, infertility, woman’s health and skin diseases. Contact us for a free 20 minute consultation. One phone call could put you on a path of healing through your own, personalized healthcare program.